The important role of Italian researchers in the Cultural Heritage sector has been confirmed by the abundant participation. The presence of the CNR was very conspicuous, especially, ISAC was well represented with the exhibition showcasing regarding the Projects: NANOMATCH, InnoWEE, GEO4CIVHIC, Cheap GSHPs EFFESUS (Bernardi). In addition, the presentation of the “Study on safeguarding cultural heritage from natural and man-made disasters” (Bonazza) was included in Cluster 2: to help “HERITAGE AT RISK” and the role of the JPICH as future actions was presented within the section on the Opportunities for Innovation in Cultural Heritage (Sabbioni). 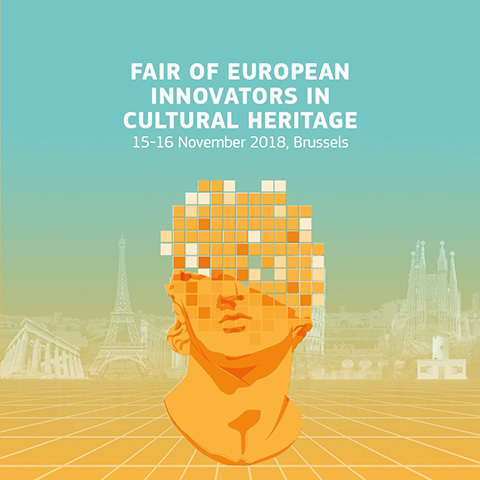 The fair was built on the results of the "Heritage and Innovation" (Brussels 20 March 2018)conference and focused on the next steps and contributions to the EU's cultural heritage action plan. The "Community of Innovators in Cultural Heritage", and its platform, was specifically presented on this occasion to involve innovators, users and investors.